Entering the final week of the regular season in Stage One of the 2019 Overwatch League, both play-off places and seedings are still up for grabs. With the New York Excelsior, Vancouver Titans and Toronto Defiant already confirmed into the play-offs, 10 other teams will battle it out for the remaining five spots. So far, the season has been a fascinating watch with the large number of expansion teams claiming unexpected results and it will be interesting to see how many end up progressing to the next stage. Vancouver are fighting to secure the top seeding for the play-offs and will look to defeat Guangzhou Charge in clean fashion to boost those hopes. The Titans have yet to drop a series thus far, although they were pushed to a five-game set by Chengdu Hunters last week. At the core of Vancouver’s success has been their tanking duo of Bumper and JJANU, who are considered to be among the top players in their positions. They create an immense amount of space for the rest of the team to work with and, given the current meta that primarily sees three tanks alongside three supports, Vancouver have been able to thrive. Finishing top of the standings would be massive for this squad but do keep in mind their opponents are in a win-and-in scenario and will be putting their heart and soul into this match. Expansion team Atlanta Reign have all manner of possibilities facing them this week but with two games to play they know that they are in control of their own destiny – win both and they are guaranteed a play-off place. In all honesty, a single win looks likely to book their spot but they are coming off a disastrous 4-0 defeat against the Los Angeles Gladiators. 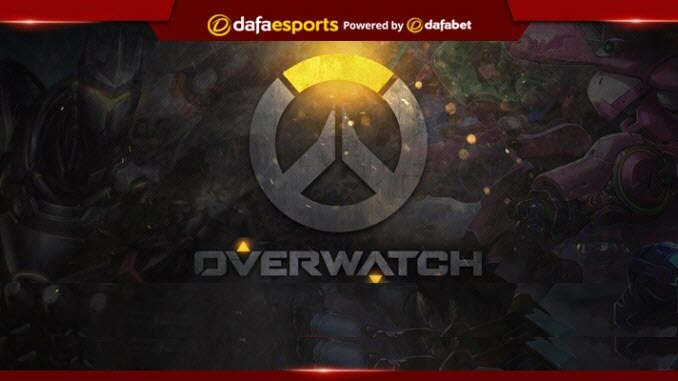 In general, Atlanta are a team with some solid tanks, especially in terms of dealing damage and allowing dafran to clean up kills. It should be noted that the Reign’s first opponents this week are Chengdu Hunters, who have little to play for, and a Houston Outlaws side who could be eliminated before their match even begins. That’s clearly good news and Dafabet make Atlanta firm favourites to beat Chengdu, offering 1.374 that they claim the win they crave. The Hunters can be backed at 3.120. London Spitfire have recovered from an 0-2 start to still be in play-off contention at this stage and they have now won three of their last four matches. Their lone loss in recent weeks was a disappointing 3-2 defeat at the hands of Shanghai Dragons, but the inaugural season champions still have their eyes on a spot in the play-offs, although they will need some help in order to qualify. With the fixture list putting them on second this week, London will at least know their match still matters, and on top of that it is a bit of a grudge match against a fellow all-Korean side, Seoul Dynasty, who themselves are on the outside looking in at the play-offs. London still highly resemble the team that took home the inaugural season crown and that experience could well be what puts them over the top in a pressure moment such as this. They are narrow favourites to win – 1.729 with Seoul at 2.130. Seoul were expected to take a forward step this year, primarily due to the acquisition of Fissure, but the team have yet to fully justify the hype. While the Dynasty currently sit above London on map differential, they have taken all of their wins against teams that will be missing the play-offs and need a solid showing here if they are to make it through. Fissure was expected to star in this stage given the importance of frontline tanks. However, his up-and-down performance has mirrored the flow of Seoul. This week he faces yet another strong adversary in London’s Gesture, with everything on the line.